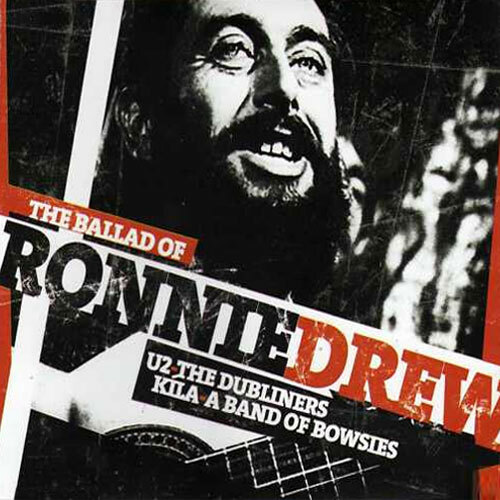 “The Ballad of Ronnie Drew” is a single by U2, The Dubliners, Kíla, and “A Band of Bowsies”, recorded for charity. Proceeds went towards the Irish Cancer Society. The song was recorded at Windmill Lane on 14 and 15 January 2008 and made available for digital download on February 22nd, 2008. The CD single was released on February 29th (Ireland only). The video for the song was directed by John Carney (ex-Frames bass player) and filmed at Windmill Lane studios while the artists were recording the single.